Congratulations, science! 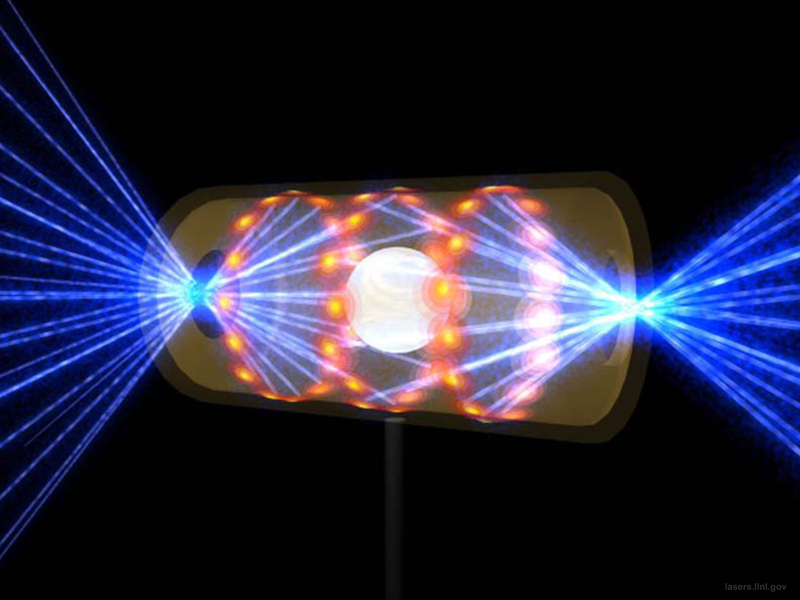 Nuclear fusion has always had an issue managing to create more energy than was put into it. You need to compress two lighter nuclei into one heavy nucleus, a change in mass that creates a lot of energy, but requires a lot of energy to make happen. But the National Ignition Facility (NIF) in the US has managed to compress hydrogen to the point of nuclear fusion at 3.3 million Kelvin (5.9 million degrees Fahrenheit). And for the first time, the energy released in the reaction exceeded the amount of fuel that went into powering the world’s most powerful laser rig and its 192 beams. It’s not NIF’s goal of “ignition,” where the energy released is as much as the lasers provide, but it’s a major step towards a way of producing unlimited cheap energy. And because it’s known that the lower-than-desired output is because of various “inefficiencies” where some of the laser energy isn’t delivered to the fuel, it’s even more impressive that the net output was positive. Here’s hoping this provides the breakthrough needed to work towards more efficient forms of nuclear fusion.